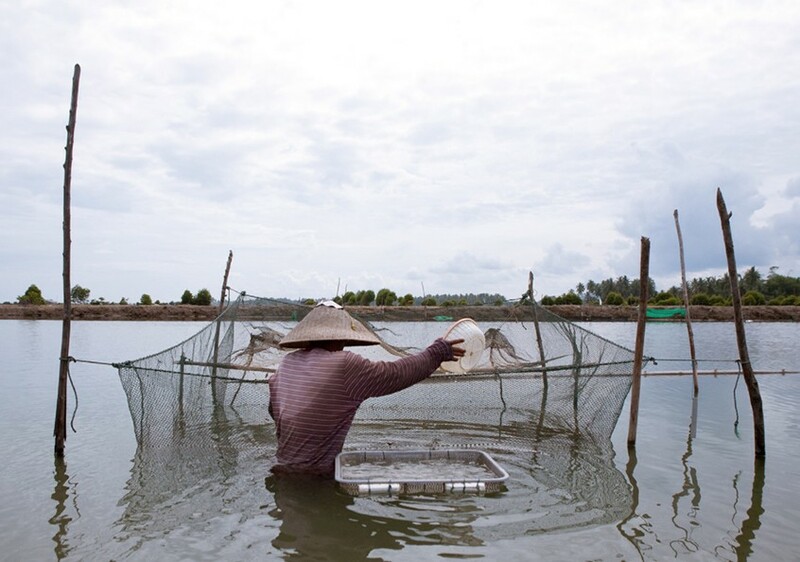 Shrimp farming in Aceh, Indonesia. Photo by Mike Lusmore. A recent paper stating that farmed shrimp has a ‘jumbo’ carbon footprint is an overestimate, say WorldFish and partner researchers, largely because it fails to account for the greatly reduced competition between shrimp farms and mangrove forests as well as an increased recognition of the value of mangroves. 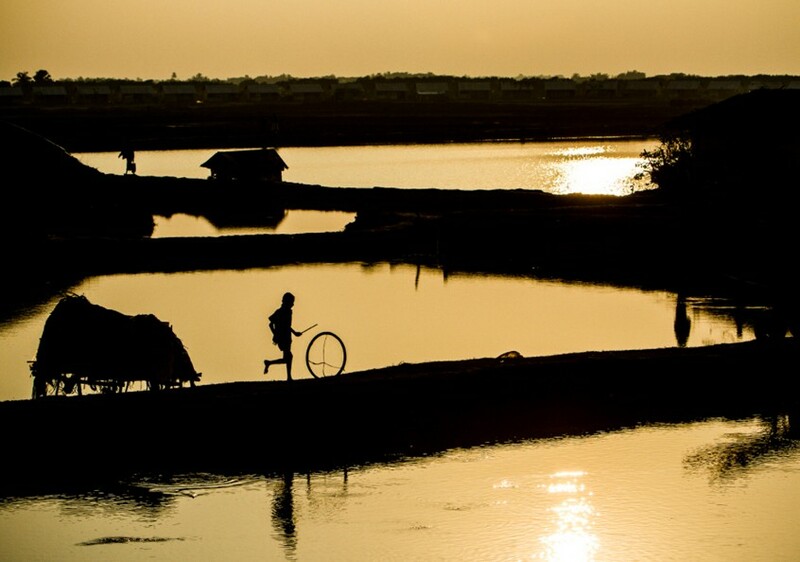 Wheeling away at sunset in Khulna, Bangladesh. Photo by Felix Clay/Duckrabbit. Climate change threatens the productivity of fisheries, and the livelihoods of many dependent communities. Fish producing countries throughout Africa, Asia, and Latin America face challenges from a changing climate, but Africa is especially at risk, with fourteen of the world’s 20 most vulnerable countries found within the continent.